It’s safe to say that the years 2008 and 2009 will go down in history as some of the dimmest years in automotive history. In comparison to the sales volumes of previous years, the numbers dropped by millions units. The total freeze in credit and loans due to the financial turmoils that afflicted banks and other institutions was highly connected to this dismal epoch in car sales. General Motors, once the world’s largest automaker for 77 straight years posted a $38.7 billion dollar loss for fiscal year 2007 and was financially vulnerable. The period of time between 2008 and 2009, boys and girls, is what we enthusiasts like to call the “Carpocalypse”. In 2008, Wall Street swallowed itself whole. The amount of debt generated from within the banking industry and credit industry made them, for lack of better words, totally screwed. The outcome was a $700 billion loan bailout without so much as a “thank you.” With the financial institutions frozen and loans being halted, the money General Motors needed to restructure was inaccessible through traditional means (credit, bonds, etc.). The General followed in the footsteps of the banks and controversially asked the Fed for billions of dollars in loans. Washington and the Bush Administration granted them the money so long as they provided a “viable” restructuring plan. Fast forward to March, 29, 2009. GM couldn’t make do with the money borrowed previously and requested even more. The Obama Administration decided to grant the company additional funds under the conditions that former CEO Rick Wagoner be ousted from his position, placing then CFO Fritz Henderson at the helm. GM was also required to declare bankruptcy, which it did on June 1, 2009. As they say, the rest is history. Whether or not it’s looked upon from an immediate perspective or through the long term lens, financial history was made here. GM endured a 40-day purgatory of wiping the slate clean with government-backed restructuring – closing over 1,000 dealerships, several plants, and shutting down Pontiac while attempting to sell Saturn, Hummer, and Saab. Out of the three, only Saab made a successful transaction. Stock and bondholders were left with huge losses and the US Government assumed its role as the majority owner (resulting in GM losing its financial autonomy). Thousands were left searching for new jobs. Yet, the Center for Automotive Research predicted that if GM was to be put in an uncontrolled bankruptcy or even go out of business completely, up to 2.5 million jobs would have been lost nationally and the U.S. economy would have transitioned from a Great Recession to a Great Depression. Not shortly after GM’s bankruptcy, Fritz Henderson was eventually dethroned from his short tenure as CEO to be replaced by ex-AT&T CEO Ed Whitacre, who also happened to be the Chairman of “New GM’s” board. 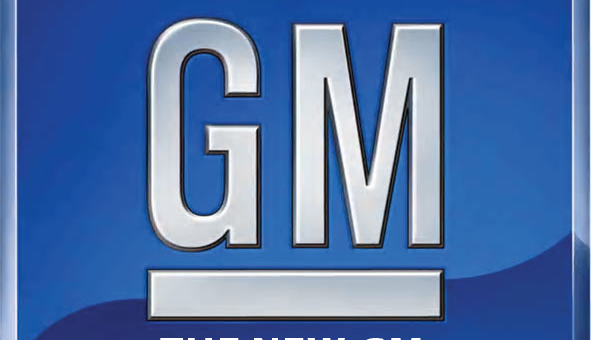 Whitacre has been on a mission to put GM back on the right track ever since. The scenario has certainly improved from the previous two years and noticeable progress has been made, but The General still has a loooooong way to go. Now able to focus on the “core brands” of Cadillac, Chevy, Buick and GMC, the product lineup has been thinned out, but also fortified, with current offerings such as the all-new Chevy Equinox and Cadillac SRX, the Buick LaCrosse and upcoming Regal, as well as the forthcoming GMC Sierra Denali HD. Year-over-year sales have increased every month of the year and things look to be on the rebound as well. Following these positive events, the IPO is approaching sooner than most predicted and will allow the Feds to divest their ownership of the company to give GM its independence once again. But, not unlike the hooligan that crashes a party, General Motors has many a relationship to rebuild and a ways to go before completely fixing its marred public perception. This will take years to set right. 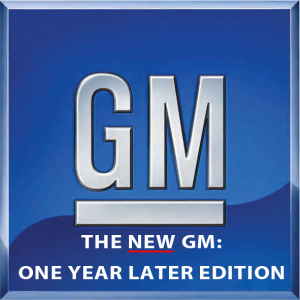 In the meantime, stay tuned to the GM Authority blog and podcasts for the latest and greatest General Motors news, analysis, and information.